Here at The Good Life Orphanage all the children receive three meals daily, they live in comfortable surroundings in a family environment and receive a good education but as our children are getting older, many crave for the connection with their blood relatives, the sense of belonging to their biological families. 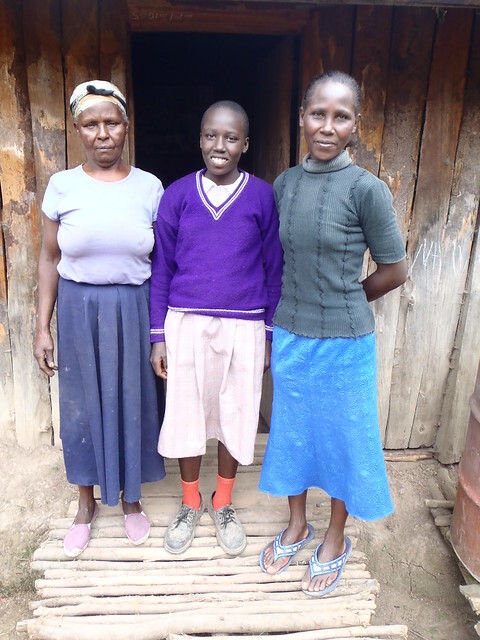 Anne Njeri was one of these children, over the past three years since puberty kicked in she often spoke of returning to her maternal family and often became frustrated at school in particular as she felt abandoned by her mother. Since joining The GLO family, Njeri has become a young woman not the little girl from away back in 2010. Thanks to Hemed’s hard work and dedication, Njeri was reunited with her maternal grandparents & extended family just before Christmas. It was a wrench to see her leave us but we felt it was the natural progression and unlike many of our children who have no extended family, Njeri is one of the lucky ones. 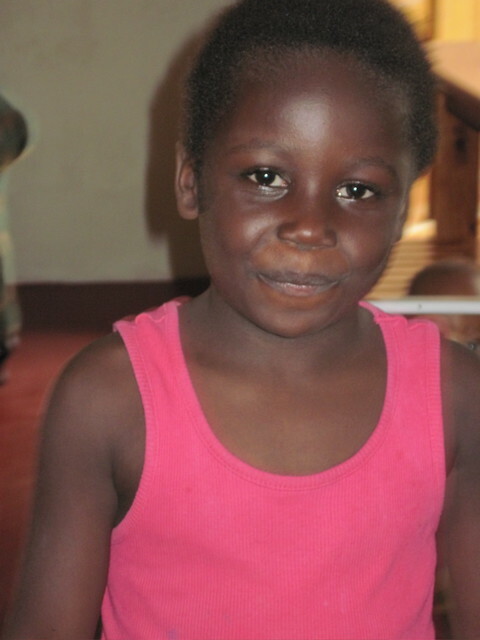 As always we follow up the welfare of any of our children who leave, and with the arrival of Brendan Coleman who is Njeri’s sponsor, we felt it was an ideal time to see how she was coping with life outside The Good Life Orphanage, what we found was so encouraging. On Wednesday the 1st March, 2016 Brendan & Hemed set off on the long journey Nyandarua departing from Mombasa at 9:00 PM. Sadly the V.I.P. 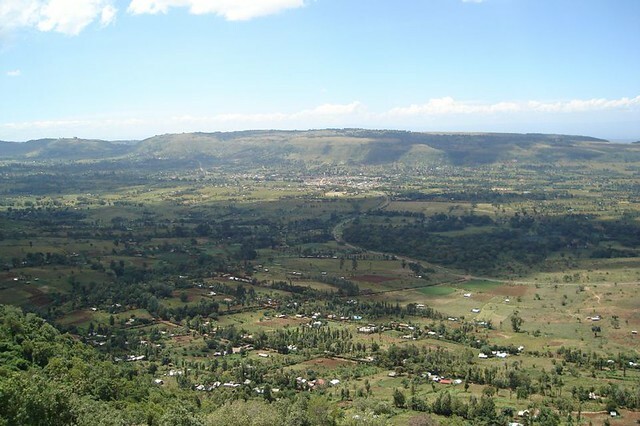 seats on the bus did not live up to expectations with Brendan sitting on top of the engine but as Hemed said, he is a very tough man managing the long journey to Nairobi, Nyandarua and finally Nydonyu Njeru without difficulty. Upon arrival at the home place, Njeri,Aunt Wangari and grandmother were eagerly waiting for Hemed & Brendan, they gave them a very warm welcome and offered some chai. 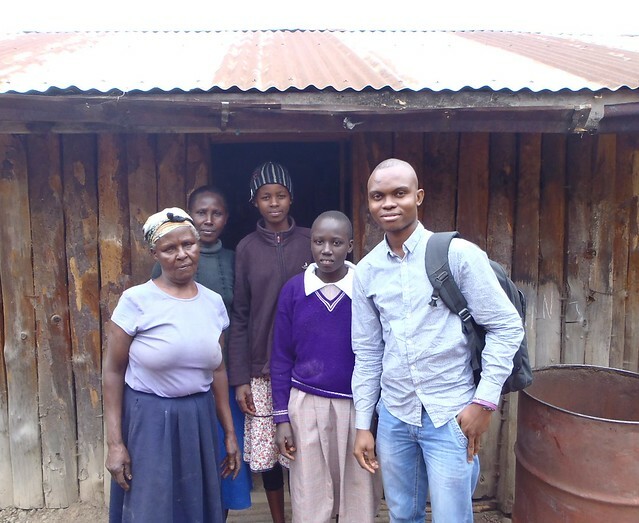 After a short chat with Njeri they set off the short journey by motorbike to her new school, she had actually requested her class teacher for permission to come and greet the visitors from the Coast. Brendan and Hemed were amazed by the warm welcome they received from the senior teacher, Madam Grace. The school compound was very cool compared to the searing heat of Mombasa, all the pupils & teachers were very friendly and after a brief history about the school Madam Grace gave them an update on Njeri’s performance which was very positive. In fact, Madam Grace commented that they were all relying on Njeri to boost the mean score of her class as she is a very hardworking and respectful young lady who is a role model to the other pupils in her class, as you can imagine Brendan & Hemed were very happy. 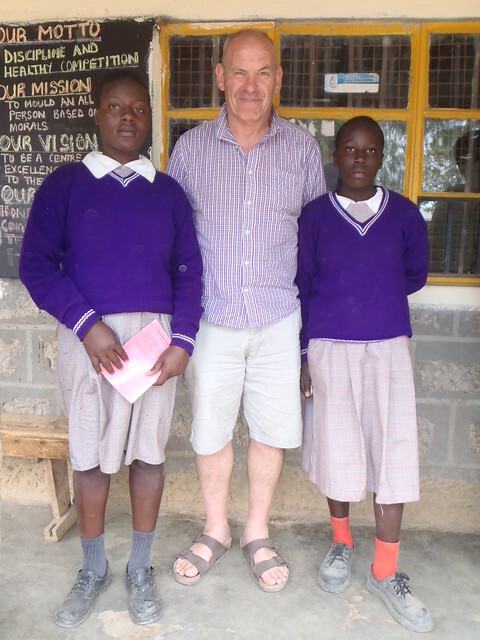 As Njeri’s older sister Shiroo also attends the same school the discussed her progress as well, both girls are doing very well. Njeri was very proud of her small vegetable patch where cousins help her to grown potatoes which they sell at the nearby market for extra money. 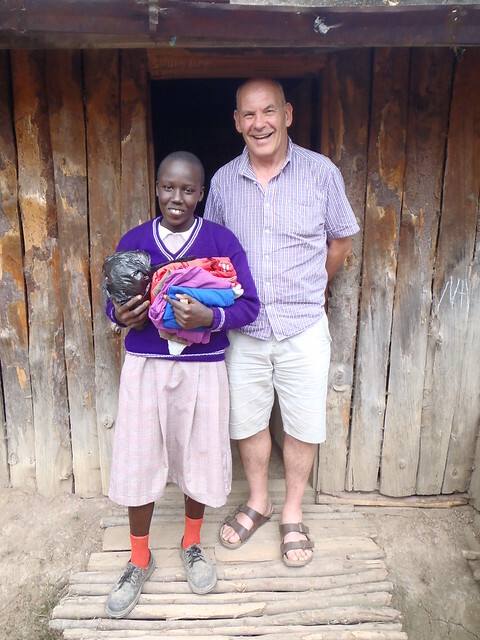 Brendan has kindly agreed to keep supporting Njeri, as a result we will still continue to send money each month for food for her and also pay her school fees which is a stumbling block for many extended families. We can see the positive impact this reintegration has had on Njeri, she is so happy and whilst she no longer has the comfortable living standard of The GLO they have been replaced by the security of living within her biological family which is priceless. On the return fourteen hour tiresome journey back to Mombasa Brendan and Hemed reflected on their visit and could see nothing negative about Njeri’s new life outside The GLO. It was good to hear the positive impact instilled in Njeri during her six years in our care especially the good moulding morally & academically she receive which really impressed her teachers. We will always continue to monitor her progress and offer any support whenever required. 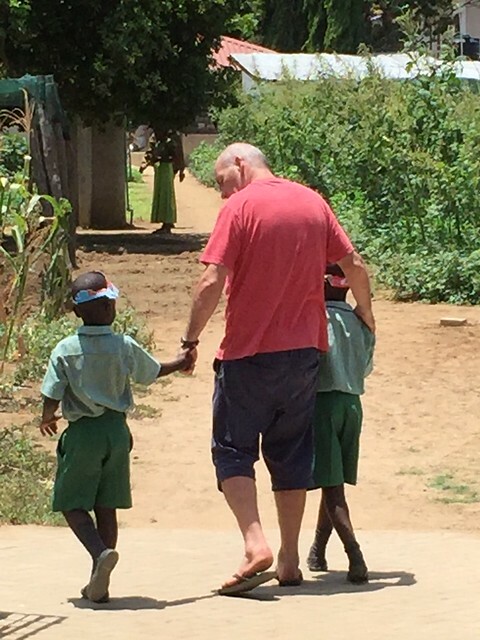 A special Asante Sana to our very good GLO & SBM School friend, Brendan for his special support and dedication to our project, without this help we would not be able to achieve such success with the children place in our care. Thank you for sharing this story with us. It is so rewarding to see the good results of all your hard work.